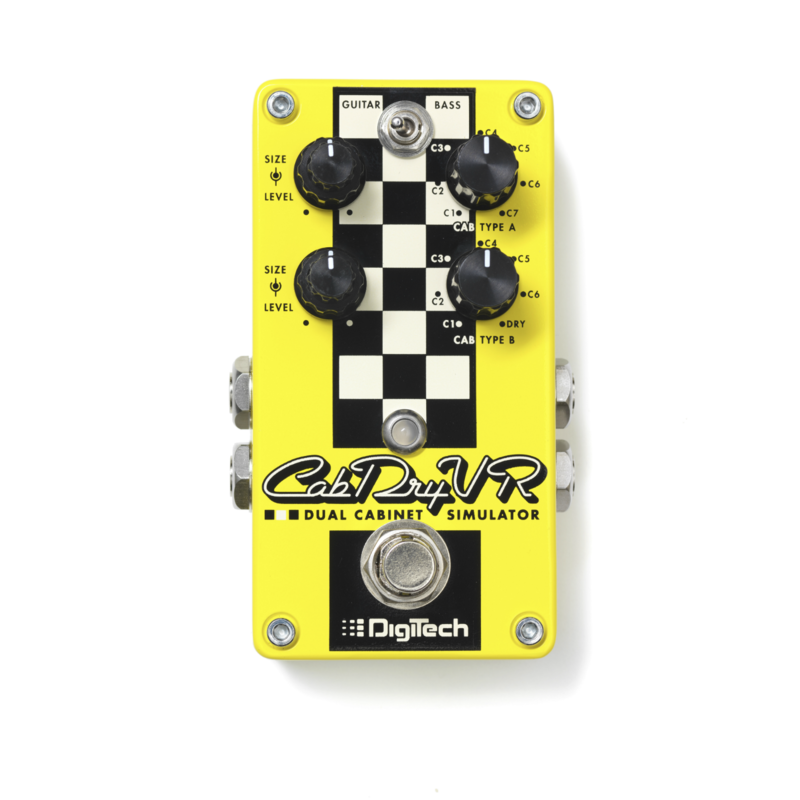 The new DigiTech CabDryVR Dual Cabinet Simulator pedal features a selection of 14 all new great sounding guitar and bass cabinet impulse responses. 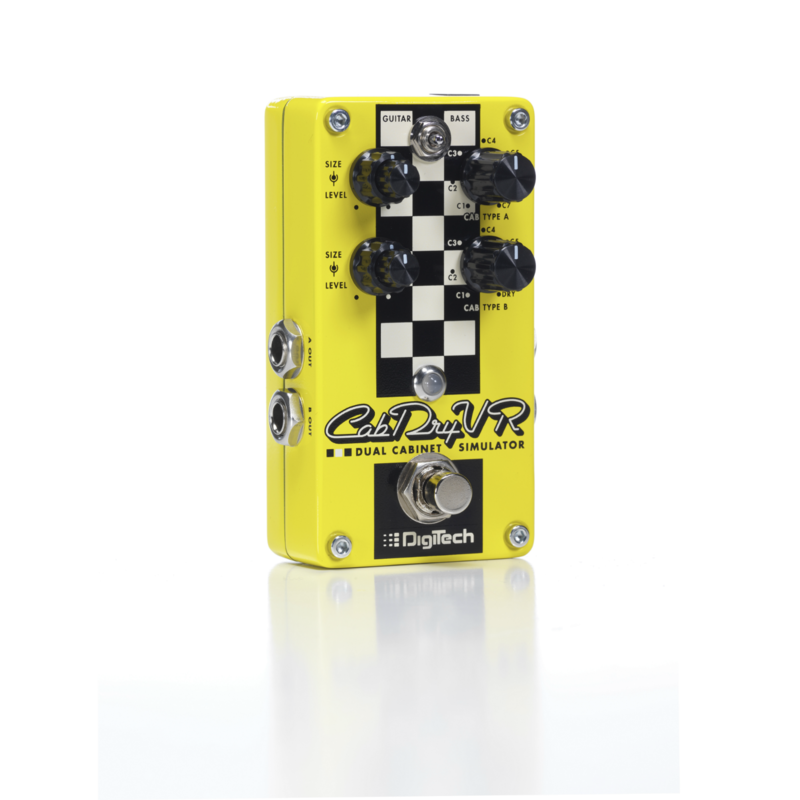 Now you can run direct from your pedal board or preamp through the CabDryVR to your mixing board, in-ear monitors or DAW and get high quality cabinet emulation without the need for a real cabinet. 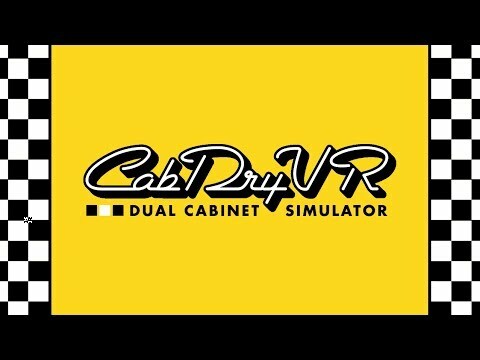 The CabDryVR features dual inputs and outputs, one of which has an optional dry path that can run to your on stage amp input. 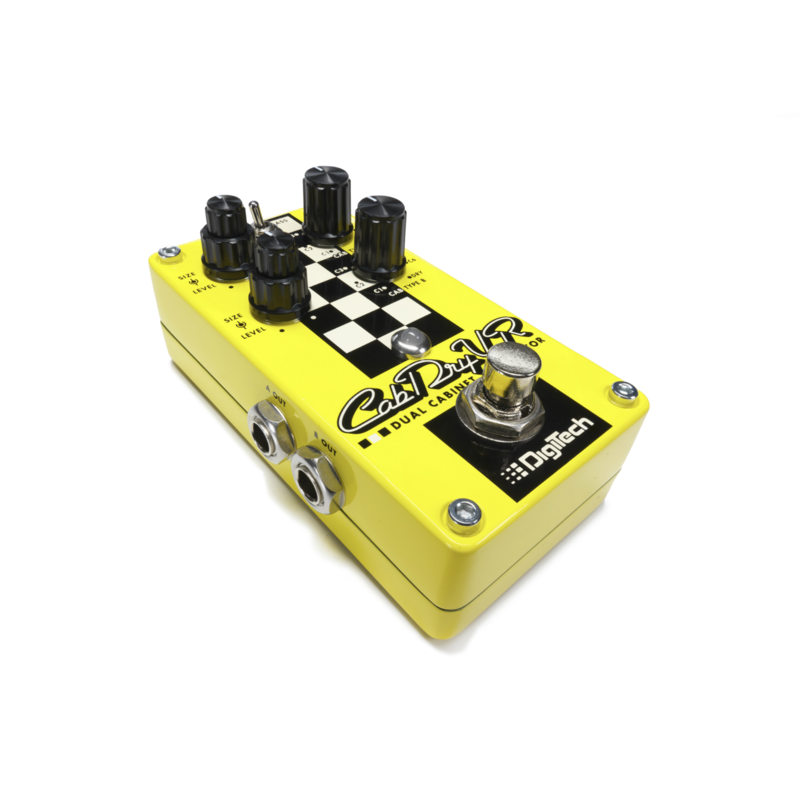 The CabDryVR Cabinet Tuning™ Size control was developed for the venerated GNX Series and morphs the resonant peak of the cabinet to create custom cab sizes and tones. Individual output level controls let you balance each cabinet’s volume in the mix. 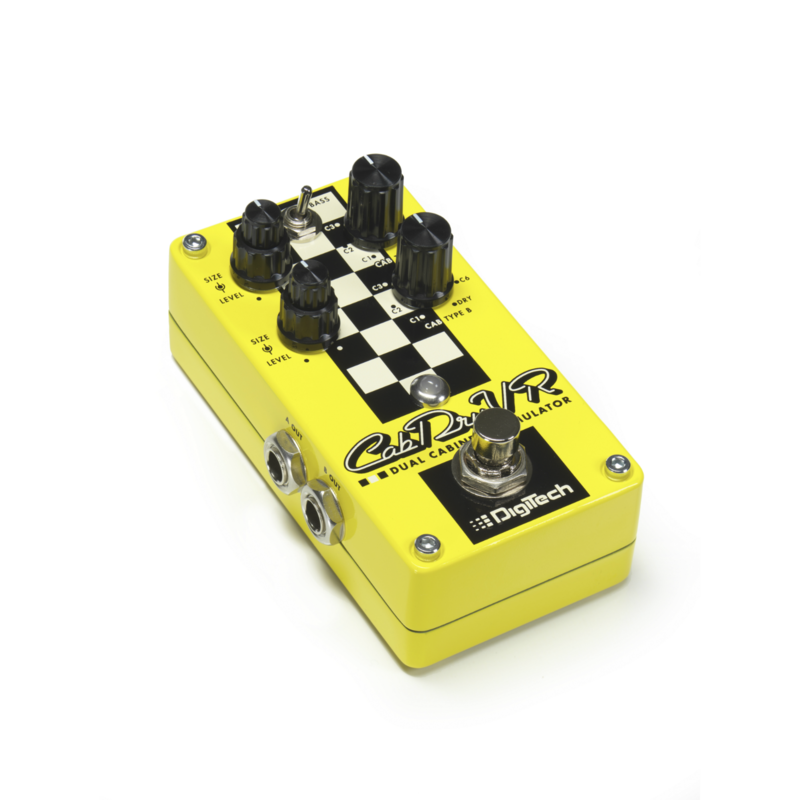 The CabDryVR uses a 9VDC power supply to easily integrate into your existing pedalboard.